Blackwing is an investment firm that has incredible respect for the entrepreneur, the visionary, the risk taker who works tirelessly to create something special and valuable. You have taken an idea, built a company and proven its worth in the marketplace. Now you may be considering the best way to help your brand and company reach its true potential. Perhaps we can help! We have a strong record of taking proven companies to the next level....and even the level after that. We would appreciate the opportunity to explore your company's next step. After all, you've built something great. Now it may simply be a question of scale. "Some men know the price of everything and the value of nothing"
Historically Blackwing has focused on investing in niche market leaders manufacturing products in metal, with a compelling customer value proposition and the ability to benefit from outside capitol with new ownership. Our idea acquisitions have a proven and profitable core business model and the opportunity to grow globally with additional capital, management and engineering resources. 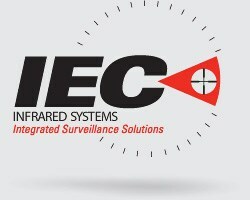 IEC Infrared Systems (IEC) is a privately held company, formed in 1999 by research scientists from the NASA Glenn Research Center in Cleveland, Ohio. Precision Remotes, Inc. (PRI) designs and manufactures a full suite of remotely operated weapon systems (ROWS) and surveillance platforms.